Give us a call today: 613-791-5777 to get more information about trenchless sewer repair! Trenchless Sewer Repair is a cost efficient method of fixing drainage pipes for your home. A majority of people hire plumbers to repair the pipelines in their homes due to breakage, corrosion, or leakage. Standard plumbers typically repair the pipelines in the tried and true methods that have been used for decades. While this format is effective, fixing pipelines this way can cause digging and construction to occur in front of your house, and can be expensive. Instead of ripping apart your driveway and paying over $20,000 for extra construction, you might want to consider trenchless sewer repair. How is Trenchless Sewer Repair Done? 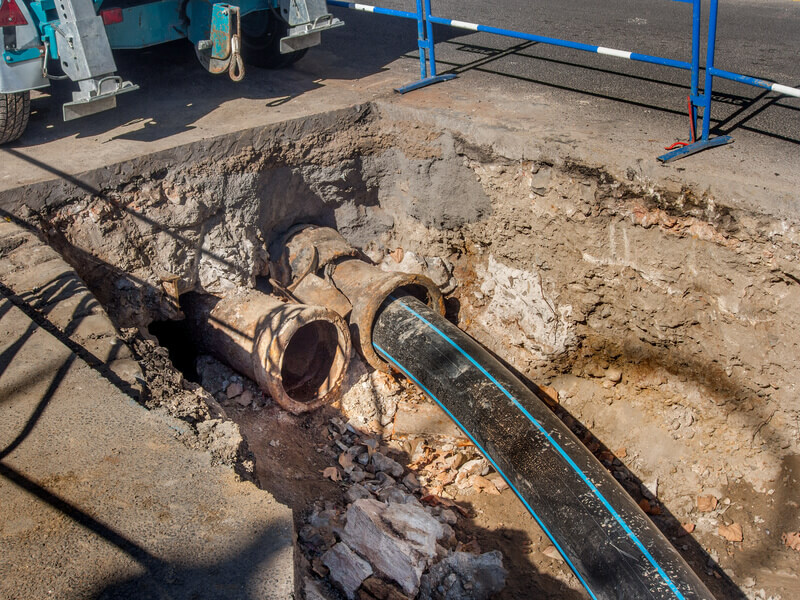 There are two types of trenchless sewer repair, pipe-lining, and pipe-bursting. Pipe lining occurs when a resin is blasted into the pipeline through a flexible tube and becomes a solid, thereby lining the pipes. If the pipeline is fractured, a new pipe can be thrust into the old one, breaking the old one down. This method is called pipe-bursting. Trenchless sewer repair is far less costly than spending thousands of dollars on construction, as mentioned earlier. Repair damage takes less time to complete, without the hassle of construction. Less maintenance is required over time, because damage does not occur as often, with cleaner pipes. You need to find the right type of expert in your area – Professional plumbers like Dr. Pipe and Plumbers Ottawa, are the only people who can handle trenchless sewer repair. If you are considering pipe repair, we can handle your construction or trenchless sewer repair at Dr. Pipe. Contact us today for a free estimate at 613-791-5777, https://ottawaplumbernow.com.